Don't be just another face in the crowd. It’s been a while since I posted. My bad. I was busy getting a job! I’m not one for resolutions, but the plan is to write more often in 2013. On Thursday night, I saw Lee’s Palace in a different light, not just the usual grungy-friendly venue where I have seen amazing concerts (Pinback and Men Without Hats, both in November 2012. I should definitely have written a review of Pinback back then, but my brain was still spinning from the exhilaration of finally seeing an old favourite. Soon to come.). Edward Keenan is the editor of The Grid TO, an awesome weekly magazine about all things Toronto. Although I read The Grid occasionally, I hadn’t seen many of Keenan’s articles prior to Wednesday. 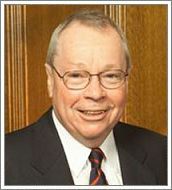 I perused some excerpts of Some Great Idea in anticipation of the launch, and I am very happy that I know about him now. 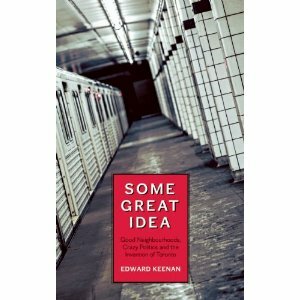 Keenan’s writing is lucid, his views on Toronto coherent and measured. I plan on reading this book, of course, but I will also be reading his online work to learn more about this city that is still uncharted territory to me in many ways. 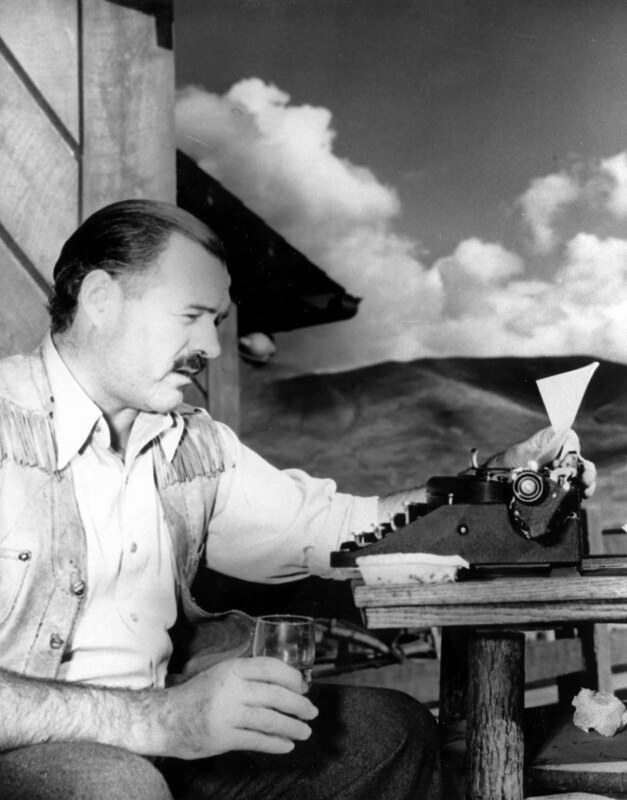 Hemingway liked a drink… once in a while. After a brief introduction, Keenan took the stage. The man is charming and small in stature but not personality. He was joined by former mayor David Crombie, an equally tiny but eloquent man. It may have been the cutest discussion about the state of Toronto politics that has ever occurred. That’s not to say that their breezy talk wasn’t also enlightened and revelatory, but my relative lack of knowledge about Toronto’s political history left me somewhat in the dark on that front. I could tell by the nods of the many middle-aged members of the audience that they were making sense. I am especially excited to read Some Great Idea in order to better understand the context for what Rob Ford’s continuing on as mayor until 2014 (le sigh) means for the future of this city. David Crombie, eloquent and charming! After Keenan and Crombie were finished their discussion, three storytellers took the stage to talk about their experiences in Toronto. The audience members were pretty wrapped up in their own strands of conversation by that point (apologies! 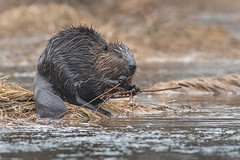 ), so they perhaps did not get the stage they had anticipated, but they were all quirky and fun. The last storyteller was Dan Yashinsky, who had the most stage presence. He told a great story about being called “a little Jew” by some drunken lunks one night on Spadina in a potentially scary situation, which he managed to diffuse with his rapier wit by retorting “…Don’t talk to strangers!”. Dan was waiting behind me in line to get a book autographed by Keenan, and I told him the punchline of that story should have been “I’m A LOT Jew!,” which he took in stride but probably thought was ridiculous. Despite the dorky joke, Dan told me about the Toronto Storytelling Festival, which is taking place at various locations from March 16-24th. And just by attending this book launch and telling Dan that I enjoyed his stories, I now know about something else cool that is happening in this city, and he mentioned that they need blog writers for their site. I loathe the concept of networking, especially since everyone assures me that it is the only way to get ahead in one’s career/etc., but it turns out it’s really pretty easy to talk to people about things you both like. Go figure. Maybe I should take notes from Sarah, the master networker, who swears that the secret is just going up to people and starting to talk. Magic connections made in seconds! 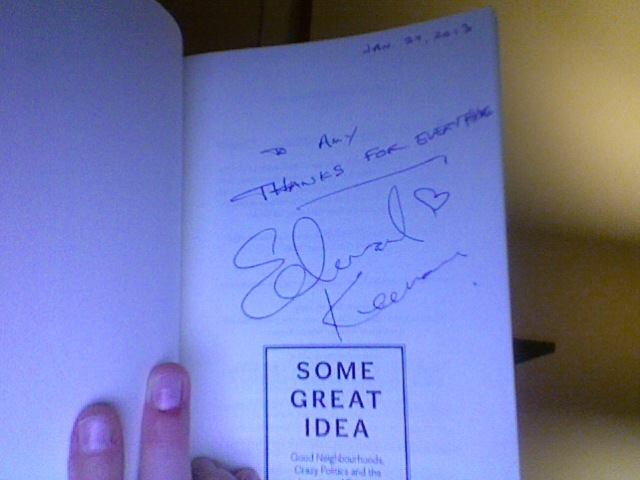 Thanks for the inscription, and thanks for writing this book, Edward! I look forward to reading it. This is such a great description of the night Amy 🙂 Long live From Near to Far! Thanks, Sarah! More adventures to come. Nice to know brief conversations in noisy bars can sometimes resonate past the moment. And thanks for mentioning the storytelling festival. If you can make it out to the storytelling, we’ll comp you. P.S. I appreciated the quip once I heard it over the hubbub. That puzzled look I gave you hadn’t to do with the content but the volume of your comment. Thanks, Dan. I definitely want to check out the festival!